Precision Fitness offers area athletes comprehensive sports performance training that is second to none. Since 2001, our Precision Fitness personal trainers have helped raise the game of countless athletes of all levels, from the student athlete to the elite athlete (NFL, NASCAR, MLB, NBA, PBA, PGA, LPGA, USTA, USAT). 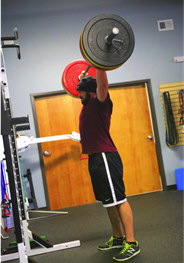 Our sports performance training provides challenging, individualized workouts designed to prepare all athletes to increase athletic performance and maximize potential regardless of the sport. Our expert coaches and fitness trainers are master motivators dedicated to helping athletes not only reach but exceed their goals. One-on-one and small group coaching for strength and conditioning. Licensed athletic training services, including injury evaluation and management, instrument–assisted soft tissue therapy, athletic taping, and corrective exercise prescription. 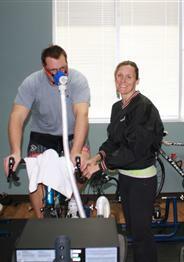 Performance testing, including VO2 Max, high-speed video analysis, and body composition services. Team camps, clinics, and coaches camps. Precision Fitness has teamed up with some of the biggest names in endurance performance and some of the Southeast’s top coaches, trainers, and sports medicine professionals to create The Southeast Endurance Academy. The Academy was established to provide endurance athletes and coaches access to elite–level performance testing, evaluation, and cutting–edge training and education to deliver the best health and fitness results. At Precision Fitness we offer massage therapy with techniques such as myofascial release, cupping, instrument assisted soft tissue techniques, athletic taping, and CORE stones. Massage therapy is extremely helpful for our clients in helping to reduce muscle tension, enhance athletic performance, and help prevent injury. If you are looking for injury–specific work with muscle therapy or just looking to relax, our highly trained and licensed staff will work with you to meet your needs. View our staff or contactus to learn more. What folks are saying about our sports performance training. 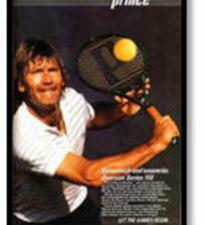 Robbie Smith, former world ranked-player and nationally recognized teaching professional. 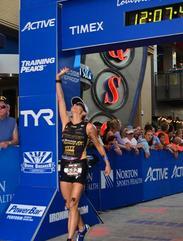 Leigh-Ann Mueller, two-time 70.3 Ironman World Championship competitor, three-time USAT All–American and Honorable Mention triathlete, and USAT–certified triathlon coach and owner of LGM coaching. “Coming to Precision Fitness was one of the best decisions I’ve ever made… The distance that I gained helped me be more competitive in the college recruiting process.. Now that I am playing golf at ECU, I can really see how my time at Precision Fitness gave me an advantage in my transition to the collegiate level.